Welcome to Sonic Direct, the online electrical store of Sonic Megastore Ltd! 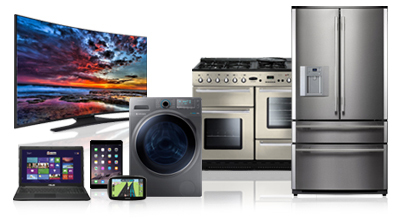 Our massive 30,000 sq ft store in Bradford is the UK's largest independent electrical retail outlet, showcasing the latest in domestic electrical appliances and the very best in consumer technology. Our website brings the Sonic electrical shopping experience online, offering electrically unbeatable prices and outstanding customer service. We offer massive savings of up to 40% off typical high street prices and deliver throughout the UK. We guarantee that we will exceed your expectations by offering you better advice and information, a bigger range of products, better after sales service than any of our competitors, all at a price which offers you electrically unbeatable value for money! With our numerous accreditations and memberships, we guarantee that your online shopping experience will be safe, secure and hassle-free. We employ only those who share our pursuit of excellence in customer service and share our goal of achieving our Company mission. All our staff have been rigorously trained and we like to think that each and every member contributes enthusiastically to our organisation. Honesty, professionalism and friendliness are the shared values of Sonic and its members. We are committed to dealing with only those suppliers that offer our customers outstanding and innovative products at the right price, backed by a full after-sales support package and keeping us fully informed of new product releases and modifications. In recognition of our high standards of customer service, we are now a Google Certified Shop. As such, you can be sure that you’ll receive reliable dispatch and excellent customer service. We are very proud to have achieved eKomi's Gold Seal of Approval. eKomi provides independent and transparent customer feedback from real Sonic Direct customers. Trusted Shops offers a comprehensive service for the benefit of the consumer, which encompasses accreditation, trustmark, buyer protection and customer service. Trusted Shops is the leading system for secure buying in Europe. We are members of RETRA (Radio, Electrical & Television Retailers' Association) - the UK's largest trade association and regulatory body for electrical retailers. We are registered retailers with the Energy Saving Trust®. Look for the Energy Saving Trust Recommended label to find products that will save you the most energy in your home. These products have to meet strict energy performance criteria, so you know you are getting the best for your money. As members of Europe's largest electrical buying group, CIH Ltd, we have a collective buying power in excess of £500m. As such, we can often source fast moving, high demand lines at competitive buying-in prices, and ultimately pass on those savings to our customers. As a member of Euronics, we are part of a network of 'Euronics Agents' who are all independent electrical specialists. Similar to a co-operative, as an agent of this prestigious organisation, providing our customers with the highest service levels is at the heart of everything that we do, whether in-store, over the telephone or through the internet.